Extra low profile buttons with comfortable stroke for a great typing experience and extremely comfortable. Home, Page Up, Page Down, End, Insert, Space, Delete and Tab. Ergonomic design, comfortable and silent key typing. 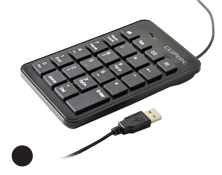 Fully Plug ‘n’ Play USB numeric keypad. 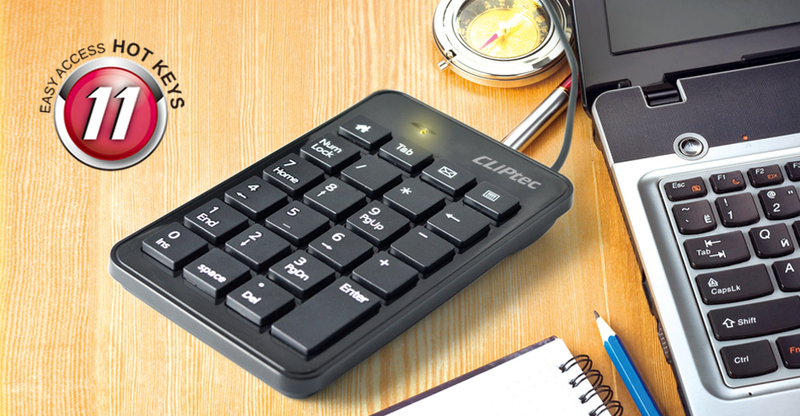 Enjoy the fast number imputing with your laptop or desktop pc with CLiPtec RZK231 USB2.0 Numeric Keypad. RZK231 is easy to use and the perfect complement to your notebook for anyone working on spreadsheets, accounting or financial applications. A full size silent key cap structure design provides low noise comfort. It’s really easy to set up, just plug it into your notebook computer and no installer required.